This book is a lot of work to read. It’s emotionally taxing (although I didn’t even cry until near the end) and, frankly, depressing. Anna is dying of cancer. And that’s no spoiler, pal. That’s the premise of the book. 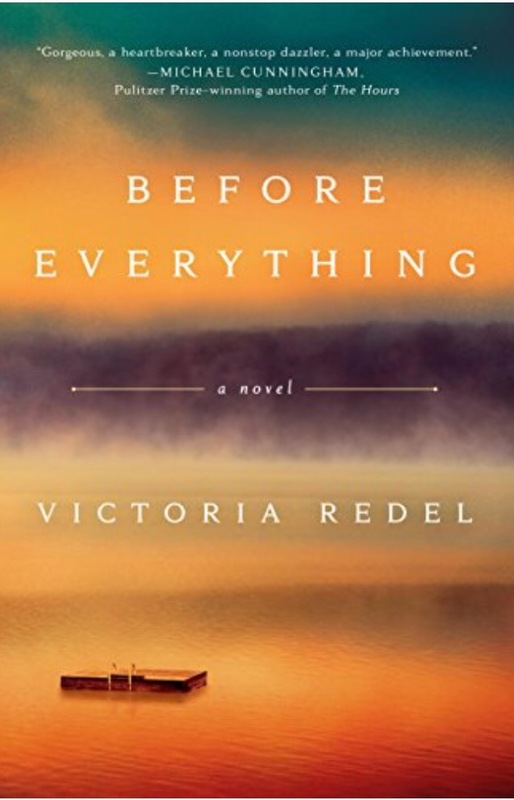 Before Everything is also about love and friendship and family and a few secrets. Victoria Redel designs Anna’s friendships so realistically that the secrets the women have make me remember secrets I have with my friends … not contrived or hyperbolic or beyond belief, but just stuff we know about each other because we’ve been friends for so long. I read this book in hopes that I’d come to a better understanding of what it’s like for the family of a person dying of cancer. But I couldn’t do it. I couldn’t let myself feel it 100%. So instead I read with my shoulders tensed, my mind rushing to get to the next scene, and only half my heart with Anna. It’s a good read if you can let your guard down. I held back because otherwise it would’ve been too painful. Thinking about that, well, maybe I did learn what it’s like to be close to someone who’s dying. I don’t blame you for taking a pass on this one. I had to put up a big ole emotional wall just to get through it. I’m glad to be enlightened a little, though. Now I understand why and how it’s so difficult being the friends, family, caretakers.